Could it be? Could we truly be getting the Jurassic Park game that we deserve? Well, hold onto your butts because yes, yes we are. If the John Williams score alone is enough to give you goosebumps, wait until you watch the reveal trailer for Frontier's Jurassic World Evolution. Not only is it a Mr DNA-style miracle that we'll be able to build our own Jurassic Worlds on PS4 and Xbox One as well as PC, the fact that this is coming from the team behind the incredible Planet Coaster is the dinosaur icing on a goat-flavoured cake. 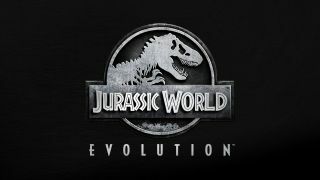 Yep, Jurassic World Evolution will put you in control - "You never had control! That's the illusion" *ahem* - of your very own dinosaur theme park to make sure the attractions don't eat the tourists. And it's no ordinary island you'll be customising. None other than the legendary Isla Nublar, the site of the first movie as well as Jurassic World, will be under your watchful eye and the islands of the Muertes Archipelago will be part of the deadly playground too. With research facilities and attractions to build, it's time to do Hammond proud, people. Coming from any other studio, I'd be a bit suspicious but Frontier's Planet Coaster is ultimate evolution of park simulations. Handing over a terrifying amount of customisation options, from the colour of tracks to the intricate leafy detailing of queue theming, Planet Coaster is the perfect example of how to do theme parks right. Jurassic World in these hands can only be a good thing. Let's hope they've spared no expense. We'll find out in summer 2018 when the game lands alongside the new movie, Jurassic World: Fallen Kingdom.